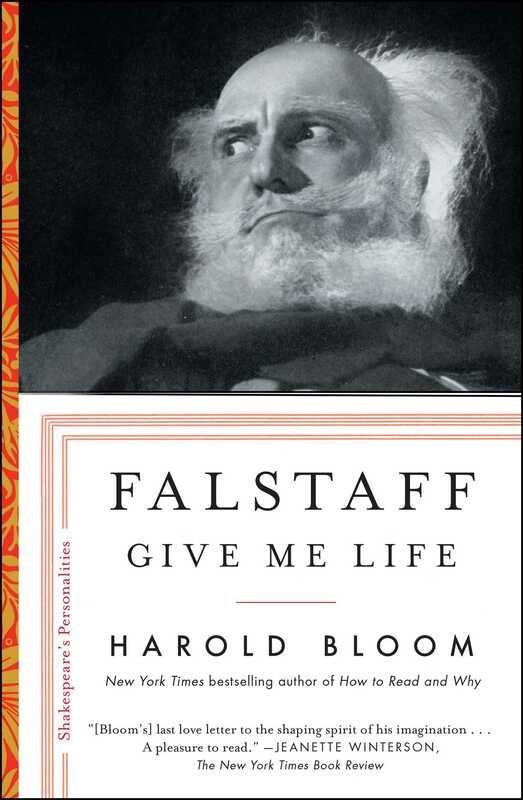 From Harold Bloom, one of the greatest Shakespeare scholars of our time comes “a timely reminder of the power and possibility of words [and] the last love letter to the shaping spirit of Bloom’s imagination” (front page, The New York Times Book Review) and an intimate, wise, deeply compelling portrait of Falstaff—Shakespeare’s greatest enduring and complex comedic characters. I fell in love with Sir John Falstaff when I was a boy of twelve, almost seventy-five years ago. A rather plump and melancholy youth, I turned to him out of need, because I was lonely. Finding myself in him liberated me from a debilitating self-consciousness. He has never abandoned me for three-quarters of a century and I trust will be with me until the end. The true and perfect image of life abides with him: robustly, unforgettably, forever. He exposes what is counterfeit in me and in all others. If Socrates had been born in Geoffrey Chaucer’s England and had gone to Eastcheap, a London street, to purchase meat, he might have stopped for ale or sack at the Boar’s Head Tavern. There he would have encountered Falstaff and traded wit and wisdom with him. I have not the skill to portray that imaginary meeting. Only a fusion of Aristophanes and Samuel Beckett could manage it. Decades ago, sharing Fundador with Anthony Burgess on a Manhattan evening in 1972, I suggested he would be able to venture on the task but he demurred. A lifelong Falstaffian at eighty-six, I have come to believe that if we are to represent Shakespeare by only one play, it ought to be the complete Henry IV, to which I would add Mistress Quickly’s description of the death of Falstaff in act 2, scene 3 of Henry V. I think of this as the Falstaffiad rather than the Henriad, as scholars tend to call it. Shakespeare never surpassed the alternation between the royal court, the rebels, and Eastcheap in these three plays. The transitions between high and low are so deft they seem invisible. Is there in all Western literature a portrayal of ambivalence to match Hal/Henry V? In regard to both the King, his father, and to Hotspur, his rival, the Prince is a whirligig of contraries. Toward Falstaff his long gathering ambivalence has turned murderous. Hal’s imagination is haunted by the wishful image of Sir John Falstaff on the gallows. The wretched Bardolph is hanged by his new King and former companion, in Henry V, without regret. Had Falstaff not departed for Arthur’s bosom, Mistress Quickly’s poignant mistake for Abraham’s bosom, he would have dangled by Bardolph’s side. More than a few scholars of Shakespeare share Hal’s ambivalence toward Falstaff. This no longer surprises me. They are the undead and Falstaff is the everliving. I wonder that the greatest wit in literature should be chastised for his vices since all of them are perfectly open and cheerfully self-acknowledged. Supreme wit is one of the highest cognitive powers. Falstaff is as intelligent as Hamlet. But Hamlet is death’s ambassador while Falstaff is the embassy of life. The heroic vitalists in literature include Rabelais’ Panurge, Chaucer’s Wife of Bath, and Cervantes’ Sancho Panza. Falstaff reigns over them. John Ruskin taught that the only wealth is life. Sir John Falstaff, the Socrates of Eastcheap, embodies that truth. Falstaff: ’Tis not due yet; I would be loath to pay him before his day. What need I be so forward with him that calls not on me? Well, ’tis no matter; honour pricks me on. Yea, but how if honour prick me off when I come on? how then? Can honour set to a leg? No: or an arm? no: or take away the grief of a wound? no. Honour hath no skill in surgery, then? no. What is honour? a word. What is in that word honour? what is that honour? air. A trim reckoning! Who hath it? he that died o’ Wednesday. Doth he feel it? no. Doth he hear it? no. ’Tis insensible, then. Yea, to the dead. But will it not live with the living? no. Why? detraction will not suffer it. Therefore I’ll none of it. Honour is a mere scutcheon: and so ends my catechism. If there could be a religion of vitalism this would do very well for its catechism. Falstaff mocks faith, killing the insane notion that we owe God our death. Knowingly he also mocks both Hal and himself. Disreputable and joyous, he speaks to a world that goes from violence to violence. Falstaff immediately became the most popular of all Shakespearean personalities, and remains so. The audiences at the Globe and the readers who purchased quartos found little to moralize against in Sir John. His being overflows and that excess brings new meanings to our minds. Exuberance in itself is a shadowy virtue and can be dangerous to the self and to others, but in Falstaff it generates more life. Remember, there are three great poets whom neither you nor I would want to have lunch or dinner with, or even a drink—François Villon, Christopher Marlowe, and Arthur Rimbaud. At the least they would rob us, at the most they might kill us. Sir John Falstaff wouldn’t kill us, but he would certainly gull us one way or another, and perhaps pick our pockets very adeptly. I may be unique in my total agreement with Orson Welles. Is there anyone else in Henry IV whose goodness is like bread, like wine? They are scurvy politicians like the King and the brilliant Prince Hal and most of the rebels. They are smug thugs like Prince John and high-spirited killing machines like the captivating Hotspur and Douglas. Falstaff’s followers—Bardolph, Nym, the outrageous Pistol—are entertaining rogues, and Mistress Quickly and Doll Tearsheet are better company than the Lord Chief Justice. Justice Shallow is charmingly absurd and his crony Silence augments the irreality. Falstaff is as bewildering as Hamlet, as infinitely varied as Cleopatra. He can be apprehended but never fully comprehended. There is no end to Falstaff. His matrix is freedom but he dies for love. The character of old Falstaff, even with all his faults, gives me more consolation than the most studied efforts of wisdom. I here behold an agreeable old fellow, forgetting age, and showing me the way to be young at sixty-five. Sure I am well able to be as merry, though not so comical as he. Is it not in my power to have, though not so much wit, at least as much vivacity? Age, care, wisdom, reflection, begone! I give you to the winds. Let’s have t’other bottle; here’s to the memory of Shakespeare, Falstaff, and all the merry men of Eastcheap! Falstaff is possibly closer to seventy-five than sixty-five. Dr. Samuel Johnson, who discovered and fostered Goldsmith, similarly celebrated Falstaff while expressing moral disapproval. Maurice Morgann is the true ancestor of all Falstaffians. His An Essay on the Dramatic Character of Sir John Falstaff, published in 1777, was criticized by Johnson, who facetiously suggested Morgann should next try to prove Iago a good man. The issue was the supposed cowardice of the Fat Knight. It is an accusation first made by Prince Hal, who fiercely needs to persuade Falstaff to confess his cowardice. Why? Crossing the threshold to the sinuous consciousness of Hal/Henry V, second King of the Lancaster line, we confront the wavering presence of ontology itself, the immanence of Sir John Falstaff. Why did Shakespeare invent Falstaff? Literary character is always an invention and indebted to prior inventions. Shakespeare invented literary character as we know it. He reformed our expectations for the verbal imitation of personality and the reformation appears to be permanent and uncannily inevitable. The Bible and Homer powerfully render personages yet their characters are mostly unchanging. They age and die within their stories but their modes of being do not develop. Shakespeare’s personalities do. The representation of character in his plays now seems normative and indeed became the accepted mode almost immediately. Shakespeare’s personalities have little in common with those of Ben Jonson or Christopher Marlowe. Shakespeare’s originality in portraying women and men founds itself upon The Canterbury Tales of Geoffrey Chaucer. Throughout Shakespeare, vitality transmutes into doom-eagerness. Richard II, the protagonist of the history that begins the Henriad, is a moral masochist whose luxurious self-indulgence in despair augments his overthrow by the usurper Bolingbroke, who thus becomes Henry IV. In the personality of Richard II, Shakespeare prefigures that element in all of us by which we render bad situations even worse through our own hyperbolic language. Falstaff is different. 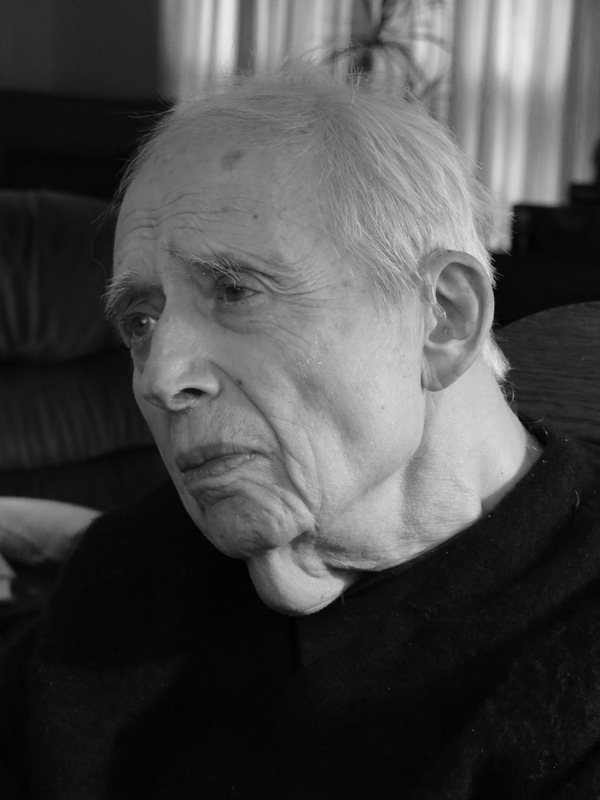 His zest for life pervades his torrent of language and laughter. Hotspur is the incarnation of doom-eagerness. His mode though is opposite to that of Richard II. His vaunting language assaults the frontiers of what is possible. Hal, his father’s son, distrusts his own vitalism, and yet goes to Falstaff to be confirmed in it. The royal pupil proves unforgiving toward his teacher. Kings have no friends, only followers, and Sir John Falstaff is no man’s follower. Directors, actors, playgoers, readers need to understand that Falstaff, most magnificent of wits, is tragicomic. Unlike Hotspur and Hal, he is not one of the fools of time. Dr. Johnson said that love was the wisdom of fools, and the folly of the wise. I cannot think of a better description of my hero Sir John Falstaff.